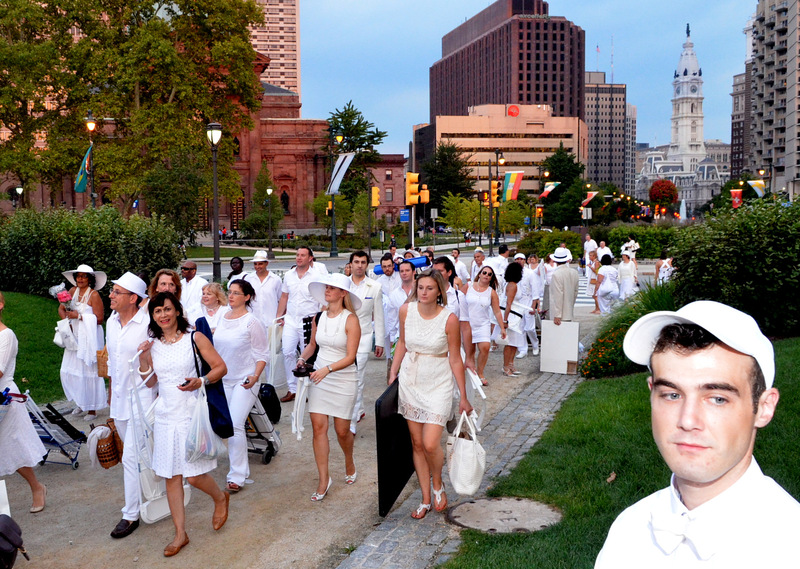 Meeting in mass, people dressed all in white, waited till the last minute for location details of Le Dîner en Blanc – Philadelphia 2012. This event (Born 24 years ago in Paris by François Pasquier and a handful of friends) with a “sold out” waiting list brings together friends and guests from a wide diverse background by a love of beat and good taste. When the “Call Comes” everyone treks to a mass “chic picnic” in a public space. It’s all conducted with the greatest decorum, elegance, and etiquette as if on some fantastic stage where the audience are the participants in a magical event. 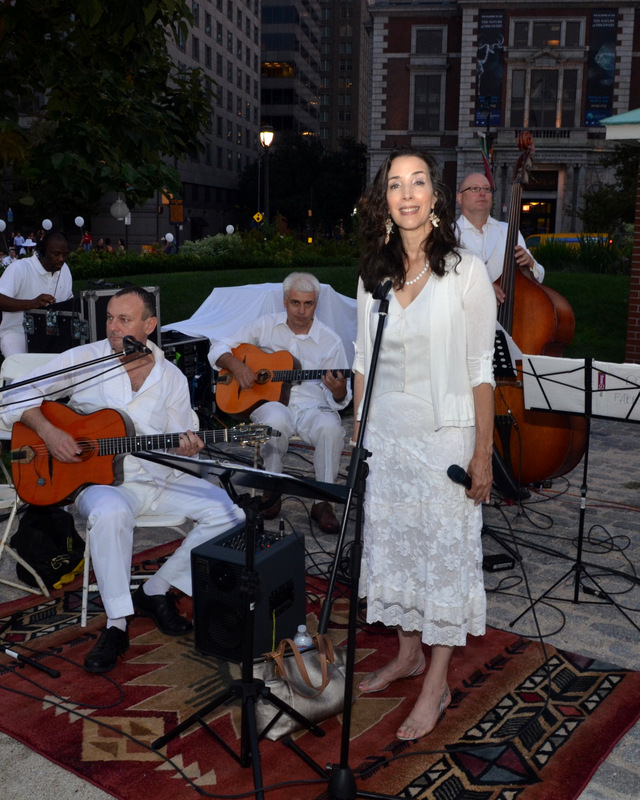 Live music by Hot Club Philly | Acoustic jazz quartet dedicated to playing and preserving the music of Django Reinhardt Django, adding their own style to the process. 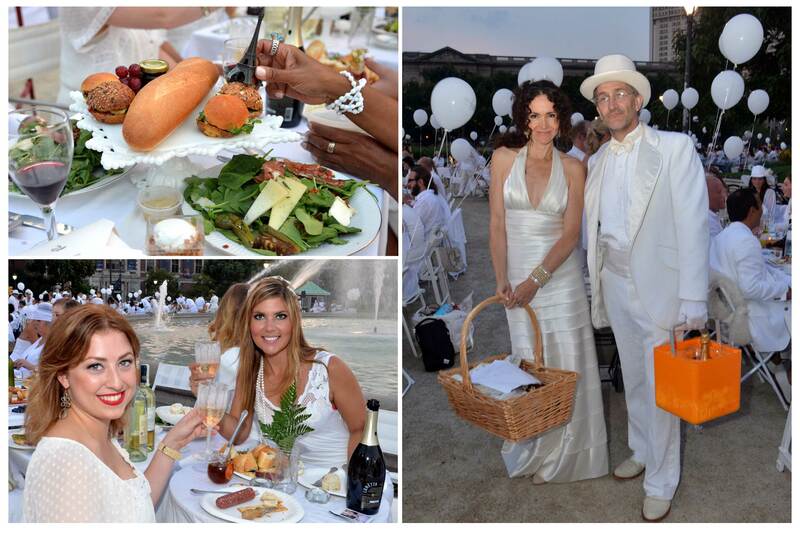 For a complete view of the 300+ images or to order prints and digital downloads from this event please select this link or the “Aug 23, 2012 Le Dîner en Blanc – Philadelphia 2012” album in the right column of this photo weblog. 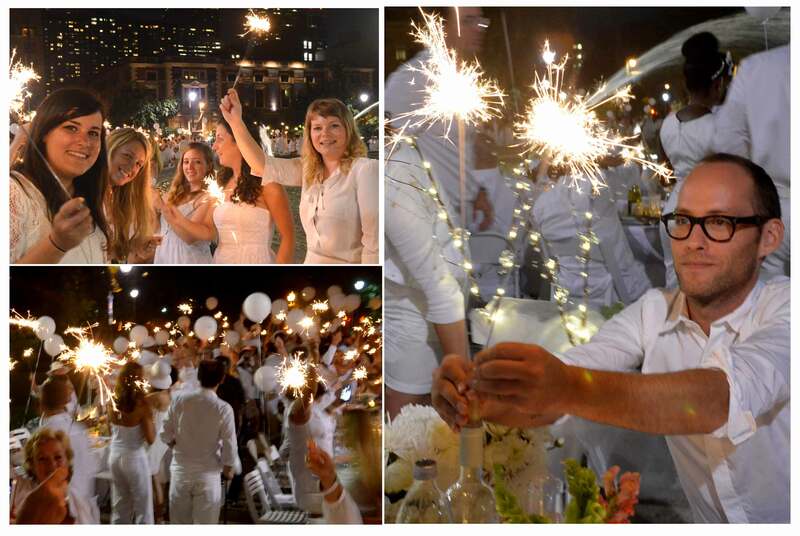 After dinner DJ Bruce began spinning the summer sounds, diners lit Sparklers and it was party time. One would suspect for the very fashion conscious Fashionistas not only was this an elegant way to have one of the last “picnics” of the year but also the ending of wearing summer white and cleansing the stifling hot, muggy Philadelphia summer days. Being so near water the urge became irresistible men rolled up their pant legs took off their shoes (women did too) and everyone meandered into the cool calming waters of the fountain. Philadelphia does have Parisian flair but on some occasions its influenced with Louisiana creole flavor. After dinner the “unexpected” was a natural for the City Of Brotherly love. 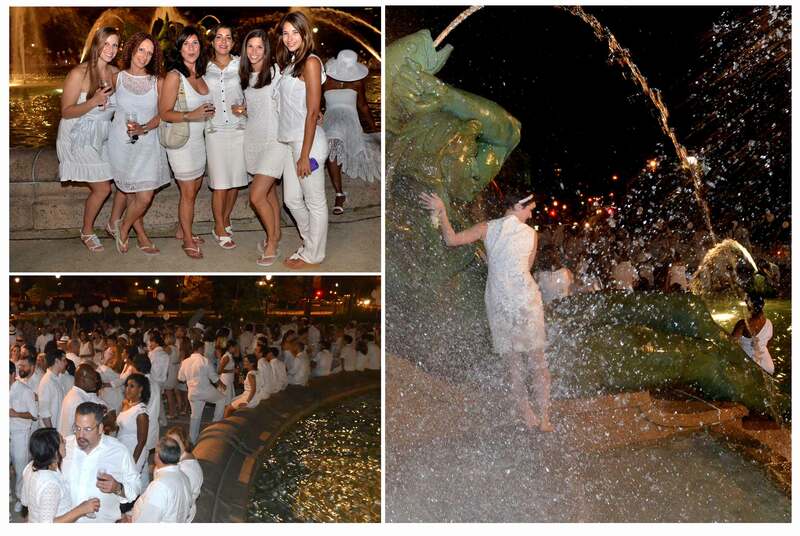 For a complete view of the 300+images or to order prints and digital downloads from this event please select this link or the “Aug 23, 2012 Le Dîner en Blanc – Philadelphia 2012” album in the right column of this photo weblog. 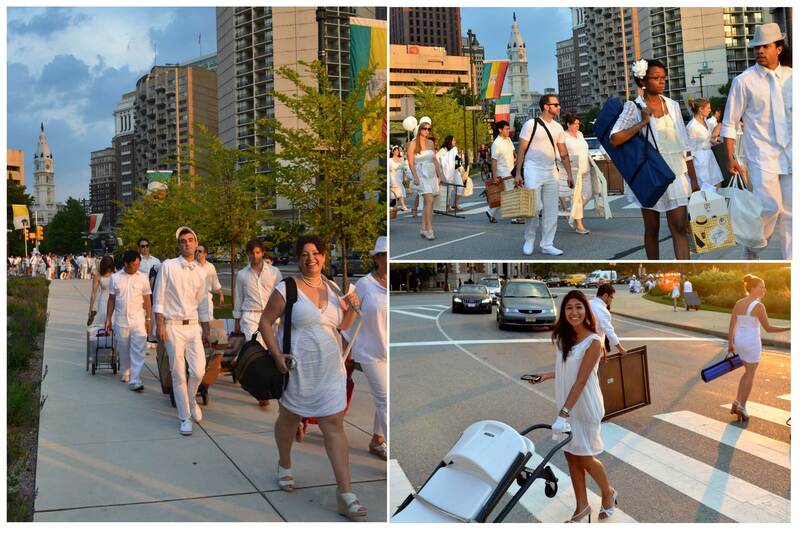 The Inaugural Diner En Blanc Philadelphia will never be forgotten! what a magical, elegant evening! We had a BLAST! thanks for capturing the elegance and beauty of the evening! Yes, Indeed! A very good event nice fun crowd. I need my own personal photographer all the time and fantastic organized chaos like this and least once every quarter in my life. Everything was magnifique!! I really want to go to this next year!! LOVE the pictures! You are great! Thanks Philly PR Girl… I appreciate that. What happened to the elegance of a full orchestra. Only Philly would be crass enough to have a Jazzy Jeff DJ for entertainment.